Friday we had a big company meeting at work followed by office drinks so this is always a hard one when deciding what to wear because you want to look smart for the meeting but still on trend when having drinks later. I decided to go for this grey beautiful woollen dress from Hobbs that has a sort of funnel neckline, short sleeves and stops just above the knee. 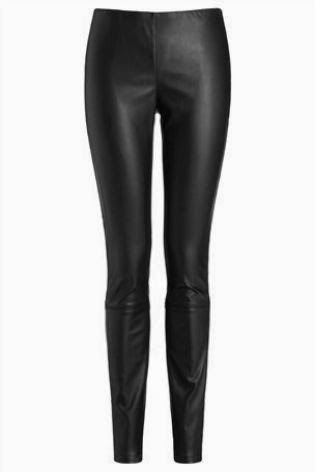 I wore it with black tights and black wedged knee boots. this looked both smart and trendy and I even got some compliments from the partners so I'd say it was a successful look. Saturday I went to the gym in the morning and then was running around town doing errands so I wanted to wear something comfortable but also warm. 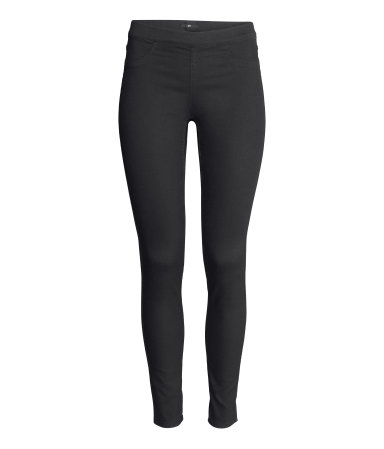 I opted for black waxy leggings from H&M with a cute Minnie Mouse t-shirt with my orange faux leather jacket from Primark and Lacoste pumps. 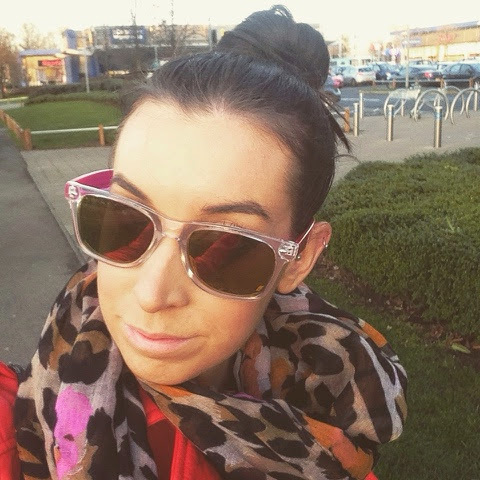 I also wore this leopard print scarf and clear sunglasses from Primark. Sunday I went to The Wolseley for a lovely brunch and this place is rather fancy so I wore brown faux leather leggings from Next with a vest and chunky cardigan from M&S. 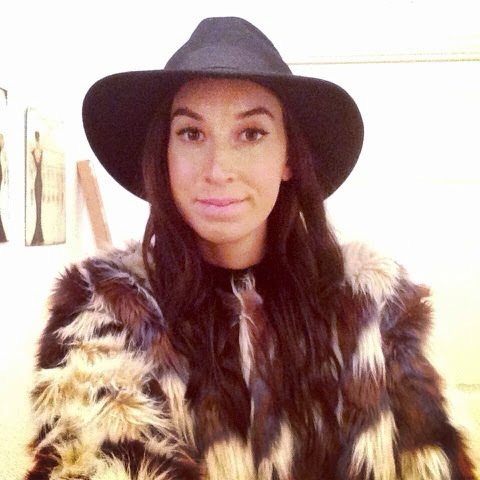 I then threw on my faux fur coat for a finishing touch. I'll be honest, I wasn't really looking forward to this meeting on Friday but actually it was really good and informative. It also made me realise what a wonderful company I work for and how lucky I have to be a part of it. Exciting times ahead! As it's January, like a lot of people I am getting back into a gym routine. I've always been a bit of a gym bunny anyway and love to keep fit but I got out of the habit after my holiday and over the Christmas period so I'm back on the wagon now and feeling really good about it. 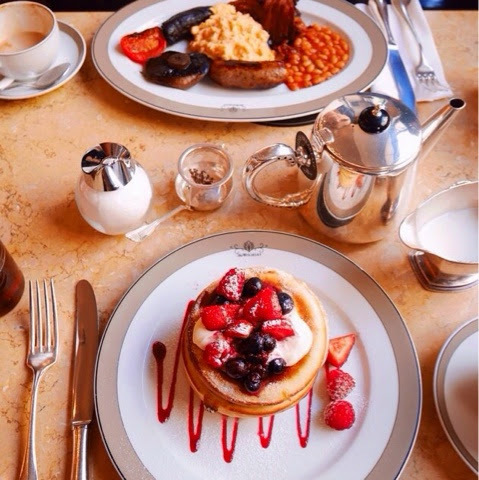 As I said I went to The Wolseley in Mayfair on Sunday which is the best place in London to go for brunch. I had American style pancakes with berries as I was trying to be a bit healthyish but my friend had a full English and that looked amazing too. I would definitely recommend this place. they also do really yummy hot drinks and cakes. 100% to try if you're visiting London.